In this week's edition of 'We The Women', we have brought to you yet again about the journey of another entrepreneur, rather a lawyer-turned-entrepreneur. 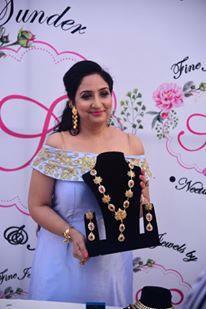 She is jewellery designer Neetu Bali. Before getting into designing Jewellery, Neetu got into the business of warehousing and has been doing that for the past almost two decades. And trust us there's a lot more that she is indulged into. Let's get to know more about her, appreciate her journey and imbibe her passion, especially for those of us who are feeling stuck and stagnant. Let's dive in and read on. Born to Late H S Bali, former Chairman, J&K Legislative Council, and Joginder Kour Bali, Neetu was lively kid while growing up. Looking back at her childhood to reflect upon the traces or incidents that possibly ingrained in her the love for jewellery, Neetu shares that the distinct childhood memory, which explains her turn toward jewellery and has stuck with her ever since, is the sheer admiration of the Pearls, Emeralds, Garnets, Rubies and other strings which her mom used to put on. She says, "As a child, I was immensely fascinated by the strings of pearls and other gemstones my mother used wear and would be amazed by how they used to adorn her, with her exquisite Sarees." It was only due to this reason Neetu asked her mother to unveil her 'Chinar Collection' last fall because according to Neetu, both her mother and her jewellery had been such an inspiration to her. Right from the age Neetu got into senses, she had inexplicable admiration for the Royal Jewels of Maharani Gayatri Devi; precious and semi precious stones, the Meenakari, the diamonds always pulled her towards them, like they usually do. But Neetu decided to give her love for jewellery a concrete shape by becoming a jewellery designer, almost a decade ago. Yet, designing jewellery, like mentioned before was not her first venture. She has been a lawyer before everything. Talking about her life before becoming a professional, Neetu shares, "Before becoming an entrepreneur, I was still a student pursuing the degree in law and life was all about travelling and loads of fun and no responsibilities, whatsoever. Today I am in a totally different phase with a lot of responsibilities- both personally and professionally. 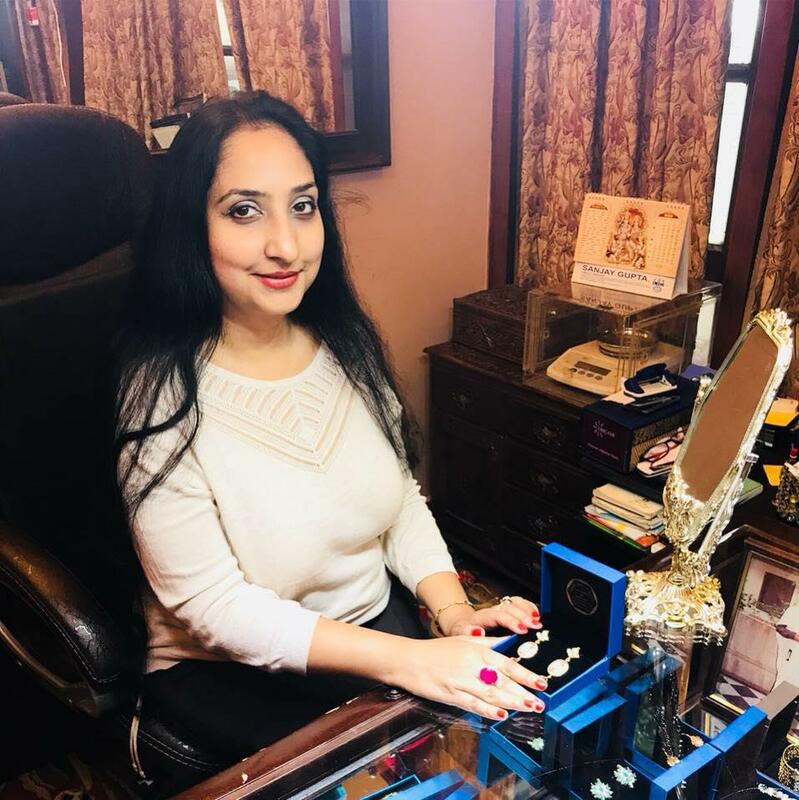 After attaining a degree in law and a little while into that profession, Neetu entered into business after her father passed away in the year 2000. Whatever triggered the shift it is apparent that she got where she was always meant to be. Neetu expresses, "I have been in business for the past 18 years now. I got into the business of warehousing and have been doing that for the past almost two decades. Despite a promising career Neetu decided to take a sabbatical for a few years after she got married to Randheer Singh, a Senior Superintendent of State Police, and only got back into professional zone after her first child turned 4. She expresses, "I felt a nudge to get back to work. Since I didn't want to neglect my son, I decided to work from home and that is how my flagship 'Sunder Gems & Jewels' came into being." few years of establishment of 'Sunder Gems And Jewels', Neetu got back into warehousing with new vigor by becoming a C&F Agent for Birla White. Discussing about the peaks and troughs of her journey of being a business woman, Neetu says, "Well we all go through a rough road before we reach somewhere. I have learnt my lessons the hard way too and I feel I still have a long way to go." One of the recent highlights of Neetu's professional life is unveiling of her first jewellery collection last August, dedicating it to the preservation of the Chinar trees in the state and had thus named it as the Chinar Collection. Now, she has been working on her new collection since February, which she plans to unveil in a couple of months along with working on the bespoke pieces for the fall collection. But before that you will see a glimpse of her upcoming event; an Exhibition in Hotel Ramada, Jammu. She expresses, "The wait between the designing and the actual making of each piece of bespoke jewellery is very long and excruciating and the excitement to see something you have imagined, actually taking shape is what keeps me going." According to Neetu, sometimes her jewellery pieces take more than six months to complete; right from designing and then explaining to the artisans and then their bringing her vision into existence, is a very exciting affair, nonetheless. Neetu expresses, "I feel extremely delighted to see both men and women alike, evincing love and admiration for my designs. Also, the fact that they have been displayed in an International jewellery show adds on to my sense of pride and only induces gratitude." As per Neetu women of J&K have very rich taste in jewellery. She reveals that now, a lot of women from J&K are now inclined towards fusion jewellery pieces apart from the traditional pieces. She says, "I foresee a lot of women becoming trendier with their tastes in fine jewellery. There will definitely be greater demand for bespoke jewellery in time to come." She further adds, "I foresee a lot of fusion jewellery this year with a lot of Meenakari, Polki , Nakshi, Diamonds, especially the colored diamonds apart from of course our appetite for blinging gold." Along with being one of the few and the first jewellery designers from the state of Jammu and Kashmir, Neetu is known to be the first woman J&K state snooker champion and the first to participate in the national snooker championship. She is also first lady in the state to be a Contractor for National Fertilizers Limited as well as first lady to be a C&F agent in the state for Birla White. Along with this, she has rich experience in providing logistics support to many multinational companies. Though designing is Neetu's utmost fervor and takes up most of her time, yet she has found another passions; love for writing and poetry. Neetu expresses, "I guess my creativity bestowed by God has found yet another expression in my poetry. I also love to knit, embroider, paint, bake and do social work for the preservation of environment and welfare of weaker sections of the society especially the women folk." To unwind at the end of hard day, Neetu loves to play with her children and listen to some good soothing music. As she is a strong believer that whatever you do comes back to you and doing good comes back to you manifold, hence she advocates deed for the welfare. To all the women out there especially the brides-to be, here's a bonus, the jewellery expert Neetu Bali suggests, "Wear the jewellery pieces according to your face cut, height, and figure. The fine pieces of jewellery that you wear should accentuate your beauty and make you look even prettier. Your inner beauty should be enhanced by the fine jewellery pieces because I believe the true beauty of a woman is brought forth by her 'Shringaar' which is best done by fine jewellery." About Women Neetu speaks, "Empowered woman for me is a woman who has the will and the ability to follow her heart and achieve her dreams. I strongly believe, Women are God's gift. They should be honored and cherished." She also says, "Women as such should follow their dreams with a passion. In today's world they can achieve whatever they aspire. As rightly said, an empowered woman is powerful beyond measure and beautiful beyond description."